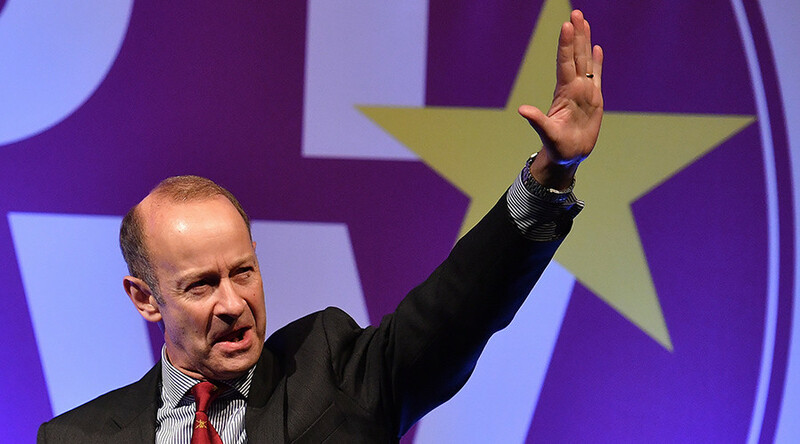 Henry Bolton has been elected the new leader of UKIP amid claims the fractured party could implode in the coming months. Former soldier Bolton saw off competition from anti-sharia law campaigner and Pegida UK co-founder Anne Marie Waters and MEP Jane Collins. Bolton will take over from Paul Nuttall after his disastrous eight months at the helm. 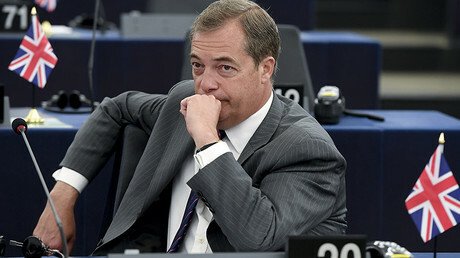 Under the leadership of Nigel Farage, the right-wing party achieved the rarest of political feats in securing its entire aim with the fulfilment of the Brexit vote, after almost two decades of campaigning. Yet within the space of a year, the party has faced collapse with the departure of Farage. Paul Nuttall succeeded Diane James, who lasted just eighteen days in the role. Now, the party has named Bolton its latest chieftain at its annual party conference, following a bizarre leadership contest. Bolton said he wanted to make Britons “proud” of being British and ensure the nation is “prosperous” in his victory speech. "While Brexit is our core task, that greater goals, which is ongoing beyond the time that we leave the EU, that is our core purpose,” he said. Bolton, from Folkestone is an unknown figure in the political world. He served as a soldier and later joined the police, before standing for the role of Police and Crime Commissioner for Kent. I am delighted @_HenryBolton has won the UKIP leadership election. He is a man of real substance. He then went on to work for the Organisation for Security and Co-operation in Europe (OSCE). The ex-police officer has been involved in international security in countries including Croatia, Kosovo and Macedonia. The married father-of-three was awarded the OBE for services to international security in 2013. With 11 hats in the ring initially, the debates were long and confusing. Now, with that number whittled down to seven, it is still unclear who will take the reins. Insiders said if the Pegida UK co-founder and anti-sharia-law campaigner Anne Marie Waters was selected, the extreme views of her followers could push the party over the cliff edge. Voters threatened to quit the party over Waters’ extreme anti-Islam rhetoric. UKIP has already lost a significant number of voters, dropping from 4 million in the 2015 general election to fewer than 600,000 in June this year. The final candidates hoping to turn the party’s fortunes around, and ensure Brexit goes ahead, were MEP Jane Collins, Nuttall’s former deputy Peter Whittle, London Assembly Member David Kurten, ex-soldier Henry Bolton, John Rees-Evans and Aidan Powlesland – who (genuinely) wants to mine the asteroid belt for minerals.